Saika Enterprise : NX-H3-5-13 - H3 5050 13 SMD LED Light Bulbs - Pair (4 Color Options) By NAXOS [NX-H3-5-13] - Contact for Price! 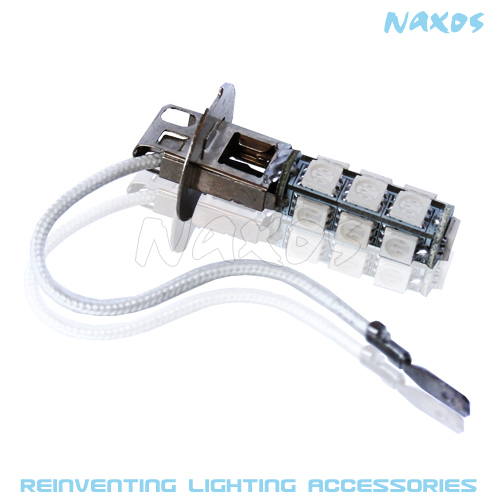 NX-H3-5-13 - H3 5050 13 SMD LED Light Bulbs - Pair (4 Color Options) By NAXOS Contact for Price! For replacement of turn signal light, corner light, parking light, side marker light, tail light, and backup lights, etc.